Whether it’s a spin class, personal training session, cardio workout or weight lifting, there’s no question that regular exercise is a part of a healthy lifestyle. Yet, the gym can cause various injuries as patrons work towards staying fit. But who is responsible if you’re injured at the gym? It’s best to consult a personal injury attorney in Sanford, North Carolina to give you a definitive answer regarding your injury. Here is a breakdown of who can be responsible for your gym injury as well as insights into the types of liabilities. As you would expect, some injuries at the gym are entirely the fault of the owners of the gym, while others are entirely the fault of the individual. In addition, there are situations in that “gray area” where there is some fault, of varying degrees, on both sides. Although some might think that the law can be too esoteric or theoretical, the law actually mirrors real life. As such, there are legal doctrines that establish liability when the gym owner is at fault such as premises liability, and those that hold the gym immune from liability when the individual is at fault such as assumption of risk. In North Carolina, gym owners are liable for exercising reasonable care towards its visitors. The concept of “premises liability,” means that a property owner – a gym owner in this instance – must protect people who are entering the gym from foreseeable harm caused by improper maintenance and inspection of equipment. In other words, a gym must exercise care and provide a safe environment that is reasonably free from hazards. Specifically, in a North Carolina personal injury lawsuit, the premises liability standard is as follows: a landowner owes a duty of reasonable care in the maintenance of their premises for the protection of lawful visitors. Reasonable care might mean maintaining the property in a proper way, cleaning up after a spill, or making sure there is adequate security for visitors. To recover for damages, the injured party must prove that the landowner or management negligently caused a condition or failed to fix a condition after they knew or should have known of its existence. While premises liability is an important legal doctrine, the law does not leave gym owners with unlimited liability for any and all injuries. Rather, the legal doctrine of “assumption of risk” provides that a person is liable for any injuries they suffer if they assumed the risk of an activity that could reasonably result in such injuries. For example, if a person falls while using a treadmill and breaks an ankle, the gym would likely not be liable for that injury provided the treadmill was maintained and operating properly. That is because the person, in using the treadmill, assumed the risk of injury that could occur from its use. In fact, the assumption of risk doctrine is typically an issue in many personal injury cases involving fitness centers. This is why taking a tour of a fitness facility and understanding the equipment before using it is not an empty gesture. Gyms are places where people push their personal limits. Thus, it is reasonable to expect that gym members do so knowing that there is a risk of injury. It is virtually certain that if you become a member of a gym, or even are a temporary visitor, the gym will require you to sign a waiver of liability. 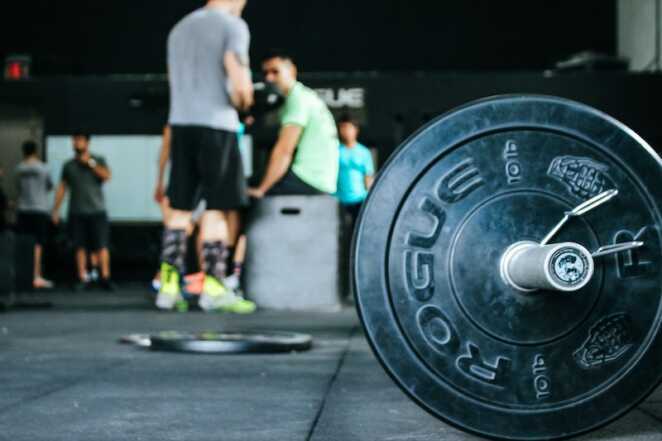 The waiver form typically states that the gym cannot be sued for any and all injuries that occur while using the gym’s equipment and services. In order to cover all possible contingencies and to provide the most protection to the gym, the waiver usually uses very broad language. If you decide to sue the gym for an injury, then the waiver form will, without question, be a part of the case. In fact, waiver forms plus the assumption of risk doctrine serve to eliminate any liability for the gym in many cases. That said, the waiver is not always the end of the inquiry. There are situations in which the gym’s liability is so clear that the waiver cannot remove responsibility from the gym. Moreover, it is possible that the waiver may not sufficiently cover the type of injury in your case, thereby rendering the waiver ineffective. Therefore, even with a signed waiver form there are instances when a gym may still be held legally liable for an injury. To help clarify, let’s look at a few examples. First, take the situation in which a personal trainer, employed by the gym, encourages a gym member to “push through” his workout despite pain, faintness, and several instances of vomiting. In such a situation, the gym (which is responsible for the conduct of its employees) will likely may be held liable for that member’s injuries because he was acting under the direction of the personal trainer. Looking at the North Carolina standard discussed above, the personal trainer knew of a dangerous condition (that the member was over-exerting himself) and did nothing to fix it. Take another example: a gym member collapses after having a mild, non-life threatening heart attack. Although the initial attack was minor, the gym did not have a defibrillator. Accordingly, a condition that could have been treated led to the death of that gym member. In that case, the gym could be held liable in a personal injury suit for wrongful death because it did not have appropriate life-saving measures. These examples are actual cases in which the gym owner was held liable even though there was a signed waiver of liability. Broad waivers typically do not apply to injuries from intentional or reckless conduct by the gym, an employee, or fellow customer. Moreover, if you get to court, you can challenge the waiver. The judge will then be able to analyze whether the waiver was unfair, insufficient in covering certain scenarios, too broad to be understood, or had important language intentionally buried in small print. When it comes to an injury at a fitness center and you are unsure whether you can sue, it is in your best interest to consult with an experienced personal injury attorney in Sanford, North Carolina. Even if you are unclear as to who is at fault, you still may be eligible to receive compensation. Only a seasoned legal professional will be able to assess the facts, under the relevant legal principles involved, and provide sound advice on whether a personal injury suit is the correct approach. Contact us if you believe you have a personal injury case against your local gym. We are a full-service law firm specializing in personal injury lawsuits. We are committed to our clients and committed to defending your rights. We welcome the opportunity to advise you, help you understand your rights, and go that extra mile to ensure that you get the best outcome for any possible case.